Truth is only discovered in times of difficulty. Courage and self-awareness blossom and grow the most when times are the roughest. When adversity strikes, it often feels like we are plunged into a dark void from which we will never emerge. But often when things are the darkest, the stars come out and shine their light upon us so that we can see the path before us. "I've trained many years and I'm going to try." He was the first one who made it to the top, and people who watched him do it were amazed because of the inclement weather. 1– Have a positive attitude. The old cliché happens to be true. It’s not what happens to you that counts as much as how you react to what happens. Successful people are realistic optimists. 2– Create their own opportunities. 3– Turn fear into fuel for success. 4– Feel passion for what they do. 6– Mine their brain power. You can make no greater investment than an investment into your own mind. Leaders are readers. We become what we think about all day long...so examine what you're reading and also who you're spending your time with. That will have a huge impact on your overall performance. 9– Surround themselves with wise advisers. 10– Know the value of serving others. One of the most respected “gemologists” of success, Barry Farber has interviewed hundreds of the most successful people to discover their secrets for outstanding achievement. 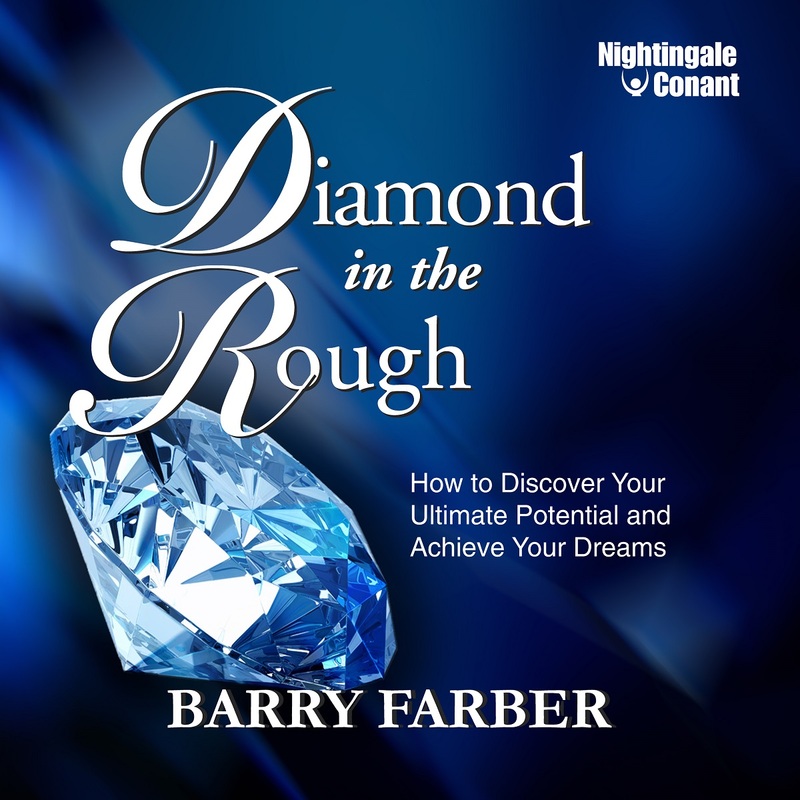 Their ideas, coupled with his own research and experience, are synthesized in Diamond in the Rough: How to Discover Your Ultimate Potential and Achieve Your Dreams. I want to discover my ultimate potential and achieve my dreams!. Diamond in the Rough at the special price below. — I can select one of two ways of ordering.